A Diamond Select Release! Here lurks the Lizard! Once Peter Parker's mentor Dr. Curt Connors, the classic Spider-Man foe is now a 7-inch scale action figure in the Marvel Select line! 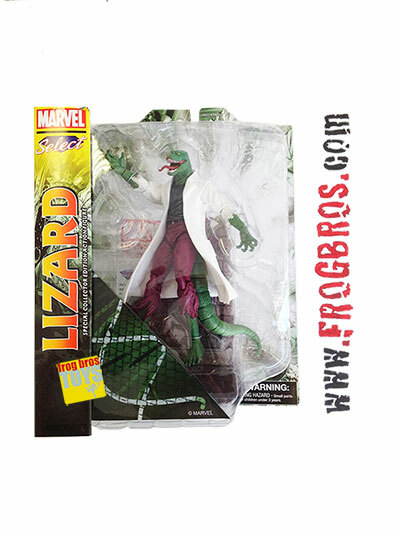 This figure is based on the Lizard's modern comic-book appearances and includes an alleyway display base. Figure comes in the Select line's display-ready packaging, with side panel artwork. Sculpted by Gabriel Marquez!